I have a site collection with URL https://MySharepoint.Dev.com/default.aspx. I just want to know if some one browses to this it should redirect to https://MySharepoint.Dev.com without default.aspx page. I have almost around 30 sitecollections like this. Is there any setting where we can just include like that? 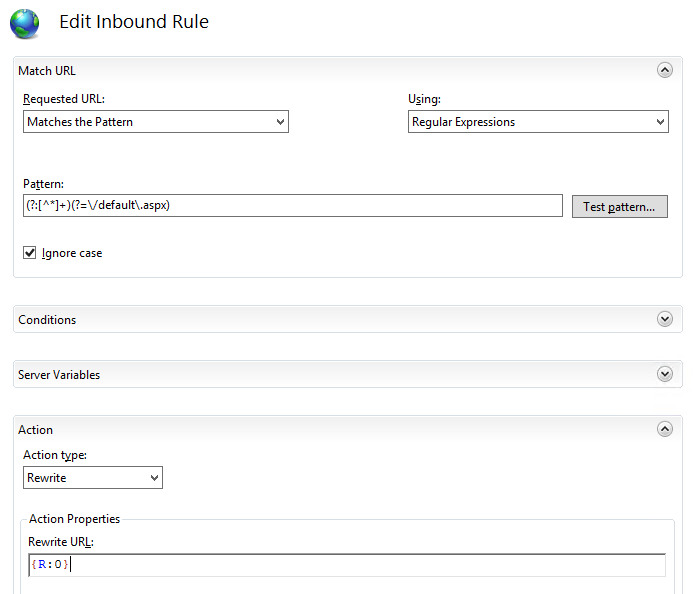 Details on configuring URL Rewrite module can be found here. Not the answer you're looking for? Browse other questions tagged 2013 2016 or ask your own question. Double replacement for site collection replacement token in master page? How to login with different site collections home page?